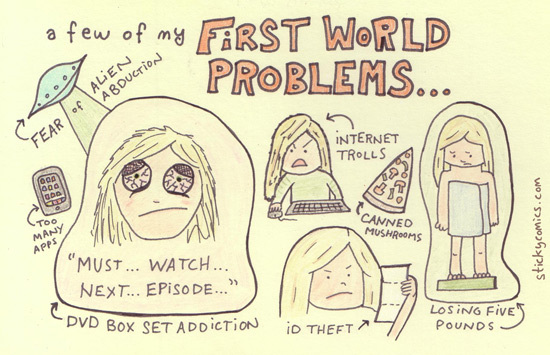 Here are some of my many First World Problems. I’m more afraid of alien abduction than ID theft, though. I have priorities. ‘DVD Box Set Addiction’ – That’s how I got through 4 seasons of 24 in a week! Why do I sound proud of that? Alien abduction could lead to ID theft, whilst ID theft wouldn’t necessarily lead to alien abduction. Solving world problems with math and science.